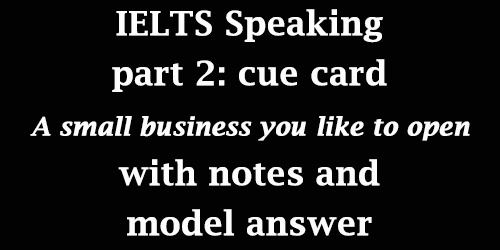 This IELTS Speaking part 2 post is based on a cue card which is an enjoyable place you visited in the countryside. 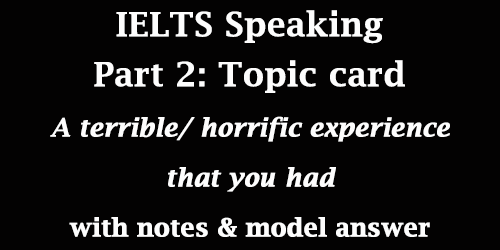 This is quite a usual topic card and some candidates have come across this topic in their IELTS Speaking test. I’ve provides a simple yet strong answer for this topic card. You will also find the explanations of different vocabularies just below the sample answer to this cue card. Candidates may make necessary changes in the answer as per their need. This IELTS Speaking post is based on an IELTS Speaking cue card which is a discussion you had as part of your work or studies. This is a regular topic card and a number of candidates have encountered this topic in their recent IELTS Speaking test. I’ve offered a simple yet strong answer for this cue card here. You will also find the explanations of different vocabularies just below the sample answer to this cue card. Remember that you can make all the necessary changes in this answer according to your situation. So, let’s take a look at the cue card first. 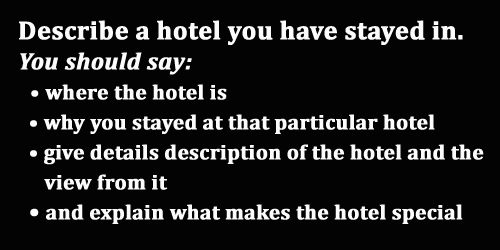 This IELTS Speaking Part 2 post is on the topic card named A hotel you have stayed in. I have provided a model answer which you can consider as best and very easy one. You will also find some follow-up questions at the end of the post. 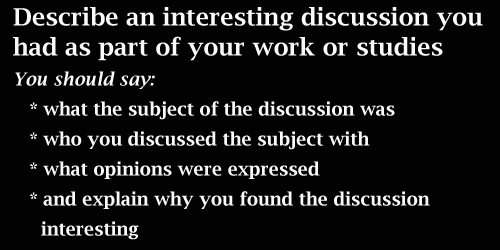 You can prepare yourself on this topic card easily if you follow this model answer.